Over the past four years, I worked alongside the Federal Aviation Administration’s Eastern Region NextGen, ATO (air traffic control) and Airports divisions providing technical input by reviewing proposals and partaking in discussions concerning current operations and NextGen projects. I have also reviewed the proposal by President Trump, and House Bill 2997 to privatize air traffic control, both of which mimic the proposals that have been put forward for several decades now from The Heritage Foundation. My conclusion is that I simply do not see ATC privatization being the panacea the supporters expect. The overall cost of the new structure will remain largely the same, and the rate of modernization will likely remain unchanged. The only substantive change will be the shifting of some of the revenue from air carrier taxes and fees, to the corporate and general aviation users in the form of a new class of user fees. In this regard, it would be beneficial for the airline industry as it would reduce expenditures, but this would then place an additional financial burden on the struggling general aviation industry by transferring some of the costs to them. 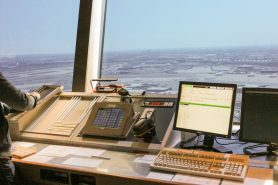 Under the current proposals, the air traffic control division as it is now would be broken off from the FAA/USDOT, and transferred to a not-for-profit corporation. The general operating costs would largely remain the same; the employee payroll and benefits, capital purchases, and the day-to-day operational expenses. 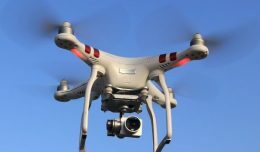 Administrative costs would also be shifted from the FAA to this new corporation. 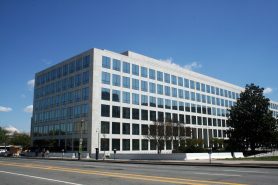 The FAA ATO’s administrative costs are low, around 6 percent, so even a substantial 10 percent cost savings here would result in only a 0.6 percent reduction in the cost to run this new not-for-profit corporation. The claim from supporters that privatization would hasten NextGen implementation really has no merit. There have been three primary reasons for the delays in implementing NextGen technologies. The first of these was industry resistance, both air carrier and general aviation. For years, the aviation industry resisted NextGen because it required expensive avionics updates: GPS with RNP 0.3, ADS-B, CPDLC. Second, there had been problems with contractors’ software. The delays from industry software problems would not have changed had ATC been privatized, nor does privatizing it now change that or potential future problems with NextGen contractors. The third problem that was a factor in slowing NextGen implementation was congressional spending. The FAA had to cope with congressional whims in the last decade, and with most operating costs fixed, there was little room to reduce costs as mandated by Congress through sequestration. Delaying NextGen projects was one way the FAA coped with budgetary constraints. It is disingenuous for Congress to criticize this when they were the source of the problem. 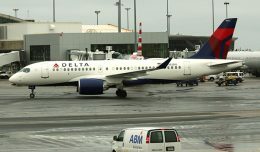 Shifting costs from tax revenue to a user based system would also not alleviate this, as then the system would then be subject to economic swings, and could potentially face a severe funding problem in an air travel downswing, such as those that occurred after 9/11 and in 2008-09. This could potentially result in a bankruptcy reorganization or a bailout like that which occurred in the United Kingdom. There is also no merit to the argument that ATC has not modernized since the 1960s and that NextGen technologies are not being used. Air traffic control has always been in a constant state of modernization, like any other product. Automobiles as an example; the general function and appearance has not changed in the half century, but the modern automobile and the current state of ATC is substantially different, safer, more economical, and automated than they were in the 1960s. To the average person, they may look and function the same, but to an engineer, an auto mechanic, or an air traffic controller, they are nothing alike. NextGen technologies have also been widely implemented with great success. Q-routes, RNP 1.0 departures and arrivals and GPS/RNP approaches are all in heavy use today. Very soon, ADS-B will allow radar-like coverage all over the world. There is already a planned implementation for reducing the in trail requirements over the North Atlantic tracks to the same standard as over land, increasing efficiency several fold. Another example is the predictive weather software the FAA has been using on the busy northeast corridor. This software allows them to accurately predict thunderstorms’ activity intensity and size down to a couple of miles of resolution. Although this doesn’t eliminate the delays when these thunderstorms pass through arrival and departure routes, this NextGen technology does allow the FAA to plan delays and new routes with the airlines, and reduce the amount of diversions when these summer thunderstorms boil up. FAA Headquarters. Photo courtesy US Government. I do see one potential economic benefit to the privatization of ATC, that being a corporation would be less responsive to the public and industry concerns. The FAA, being a government agency, is highly responsive to the often competing concerns of airport neighborhoods, industry, and congress. As previously noted, NextGen implementation was delayed in part to industry resistance to the costs of modernizing the fleet. A private corporation, citing efficiency concerns, may become less considerate of the costs imparted on the industry. A private corporation may also be less responsive to airport community noise complaints, citing airspace efficiency. As an example, for decades, traffic departing off of LaGuardia’s runway 13 would make an immediate right turn climbing out over Flushing Meadows Corona Park, to reduce the noise in Flushing and the Whitestone communities. 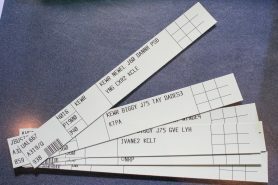 Several years ago, the FAA came out with the TNNIS RNAV departure. This new departure sends departures over downtown Flushing and then turns them north over Whitestone. The tight departure corridor allows JFK to run arrivals on runways 22L/R, which is not possible with the traditional noise abatement LaGuardia climbout. In addition to improving the efficiency of the LGA/JFK airspace, this departure significantly reduces fuel burn of departing aircraft by eliminating the southerly loop of the traditional Whitestone Climb. This climb is not frequently used due to the noise complaints from the Flushing and Whitestone communities. A private corporation, citing efficiency concerns, would be more inclined to ignore these community complaints. 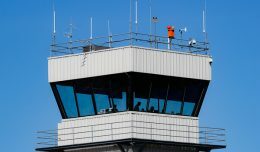 Back in 2013, the FAA put forward a plan to close 189 control towers in the United States, citing low utilization. This proposal was immediately shelved due to outcry, mostly from states’ governors. A less responsive private corporation, citing budgetary concerns, may be more able to close these under utilized towers, or replace them with remote tower technology. As a pilot, I do see some potential reward(s) to privatizing ATC; it would reduce the airline industry’s expenditures, and it might result in fewer noise abatement departure procedures. However, I also have significant concerns over the impact on general aviation, and the potential for the new corporation to take on debt and be impacted by the financial swings of the aviation industry. 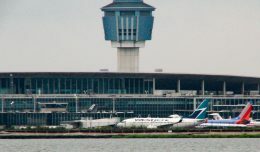 I am also sensitive to the concerns of the communities around airports, and the changes that NextGen departures and arrivals under a not-for-profit corporation may have on them. 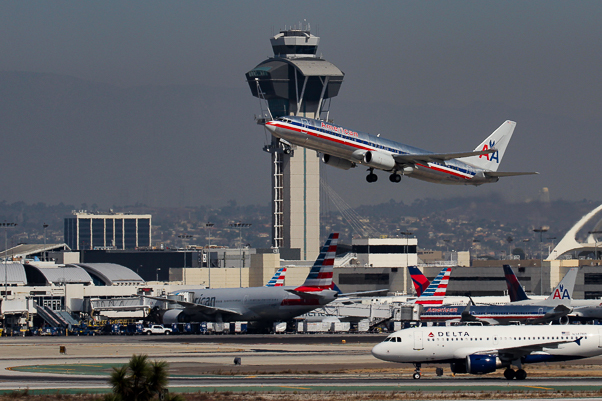 According to sources in Washington, the likelihood of ATC privatization is very low. The political will isn’t currently there to get this through Congress and on to the president’s desk. However, there is speculation that if the administration is unable to move any legislation through by fall, specifically in the areas of health care or tax reform, that this might be pushed forward in order to give the president “a win”. If this passes, I do not see it either being the panacea that its supporters say it will be, nor the quite the doomsday scenario for general aviation in the United States that many are predicting. 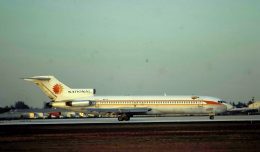 If passed, I would expect the final product to be somewhat disheartening, in different ways, to just about everyone in the aviation industry and aviation communities alike.